We are witnessing the first reduction in life expectancy for young American adults since the 1960s as a result of overdoses and suicides. This chilling trend has left a lasting impact on our families, communities, and economy. According to a 2017 National Safety Council survey, 70% of employers reported their business had been affected by prescription drug abuse. The Centers for Disease Control and Prevention estimates that prescription opioid misuse costs $78.5 billion each year. Despite the growing national attention toward mental health and addiction treatment, access to treatment is still met with immense barriers. For anyone who has attempted to get help for a loved one struggling with a mental illness or addiction, you most likely experienced a process that was difficult to navigate, or at worst, entirely unavailable. Our nation and elected leaders have the responsibility, and more importantly, the capability to turn this trend around. If there’s ever been a time to emphasize the importance of access to mental health services within our current commercial and public insurance plans, it’s right now. Often times, lawmakers will reduce consumer access to insurance in an effort to lower healthcare spending. However, this does not solve the root problem or save money. When consumers do not have access to mental health and addiction treatment services, their conditions typically worsen and they are more likely to require expensive forms of care to get back on track. Physical and mental health are interrelated and contribute to a person’s overall health. For example, if an individual has diabetes and severe depression, treating their diabetes without addressing their depression will not get this person better. Public and commercial health plans should continue to safeguard the essential health benefits to ensure individuals have access to the support they need, when they need it most. Today, the most costly form of healthcare is healthcare that does not work. Individuals in the depths of severe depression or on the brink of relapse need help and support today, not in a month, as is often the case due to significant wait times. Fortunately, we have the technology and capability to provide patients with care, but many hurdles stand in the way of providing timely care. We must break down regulatory barriers that limit access to timely care, whether it’s received in-person or via telehealth. 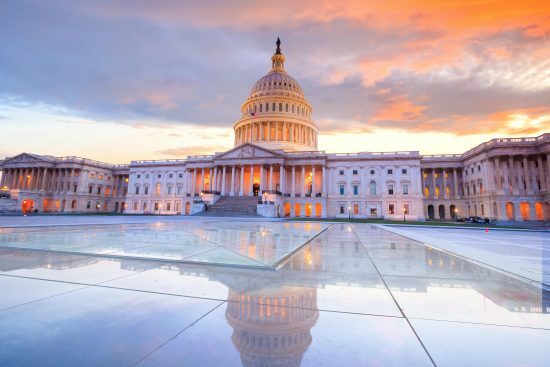 One way to do this is for lawmakers and regulators to continue to advance provisions that expand telehealth while simultaneously accelerating incentives for providers and payers to have real-time, interoperable electronic health records and claims data. Modernizing the way we deliver care holds the potential to save lives and curb healthcare spending. For our nation to truly change the way healthcare is delivered today, we must identify effective standardized sets of treatments for addiction treatment and mental health supported by research and ensure they’re implemented. Establishing standards of care will not only increase the quality and the patient experience; it will transform lives. There is tremendous opportunity to improve our healthcare delivery system, positively impact the economy, and, most importantly, ensure that our family and friends have access to the best science of care. We can move the needle by working to close the gaps in care, improve outcomes and ensure that individuals in need of mental health and addiction care have access to not only the best care, but the right care at the right time to progress on a path to recovery. Lauren Conaboy, MSSW, is Vice President of National Policy at Centerstone.